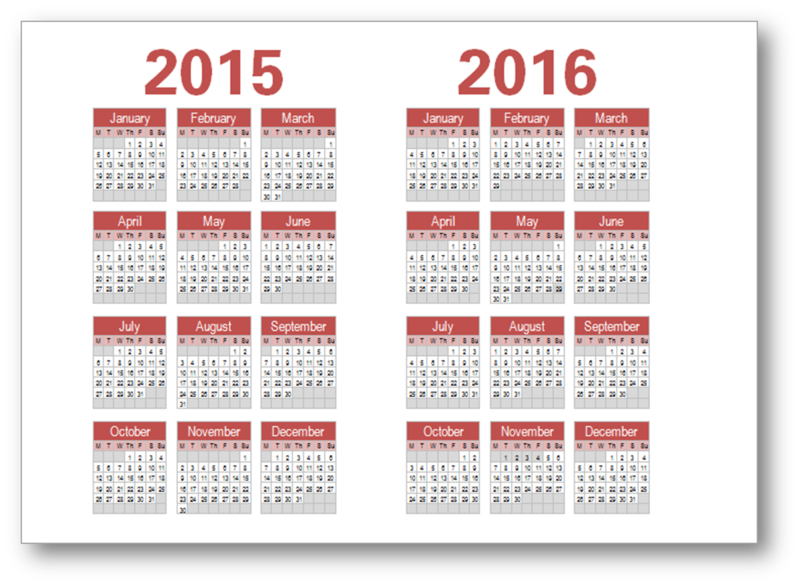 No sooner were we in 2015 than it seemed people wanted to start planning for 2016, and I've had a couple of nudges from people who like to maintain a big-picture next-year calendar. So here it is, as usual in a range of colours. 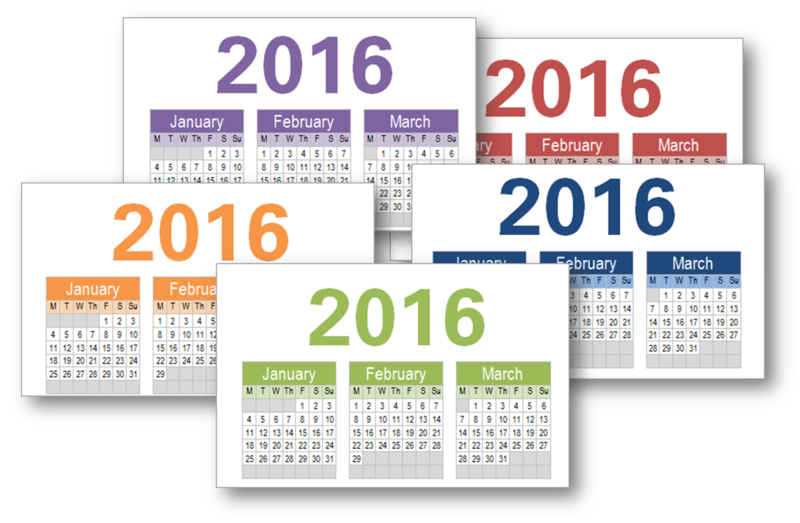 Simply print and cut out the calendars, which you can then slip into one of your booklets or perhaps clue on the outside or inside of a cover. There is a choice of colours and formats.